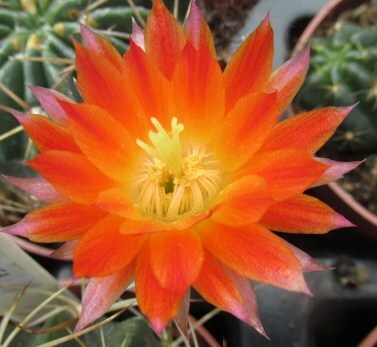 Arid plants is a small online nursery based in Essex, our main interest being Cactus and Succulents but we also grow an eclectic mix of others plants, both hardy and exotic, some of which can be found for sale on our Ebay shop, please follow the link on the contacts page. 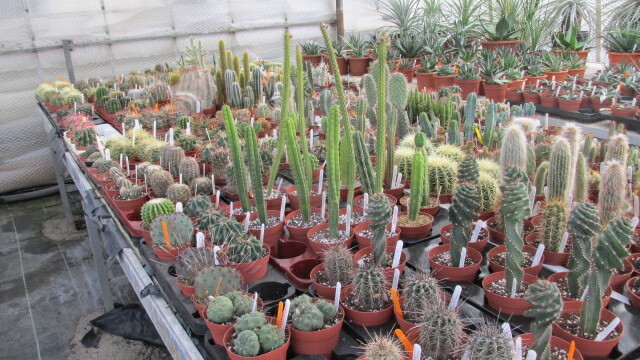 We propagate large quantities of our own plants grown from seed and cuttings, mostly from our own stock plants, the rest of our plants come from trusted suppliers within the UK and Europe. We are happy to post most item to UK and Eurpean addresses, sorry we do not post to international addresses. 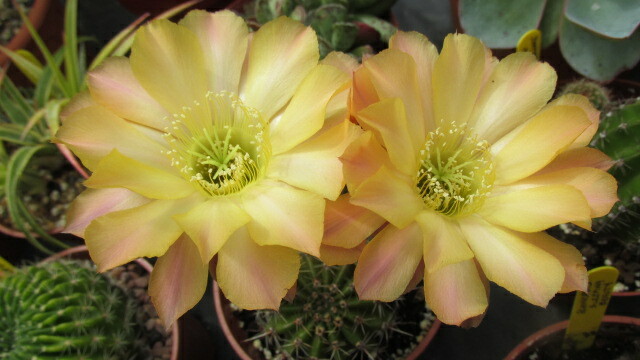 Cactus and succulents from small 5.5cm pots upto 2m plus plants. Alpines including large numbers of Rhodohypoxis species, Weldenia Candida and various others. Palms for your house or garden. Exotic plants including Bananas, Alocasia, Colocasia, Canna, Hedychium and many more. 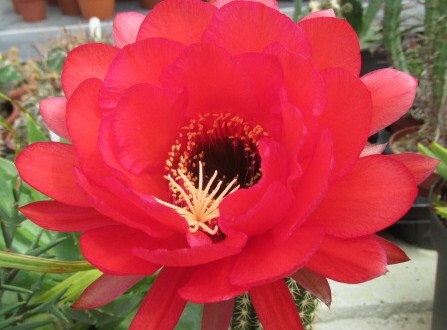 On occasion we also have rare plants available in small numbers. Thank you for visiting our website, please come again.